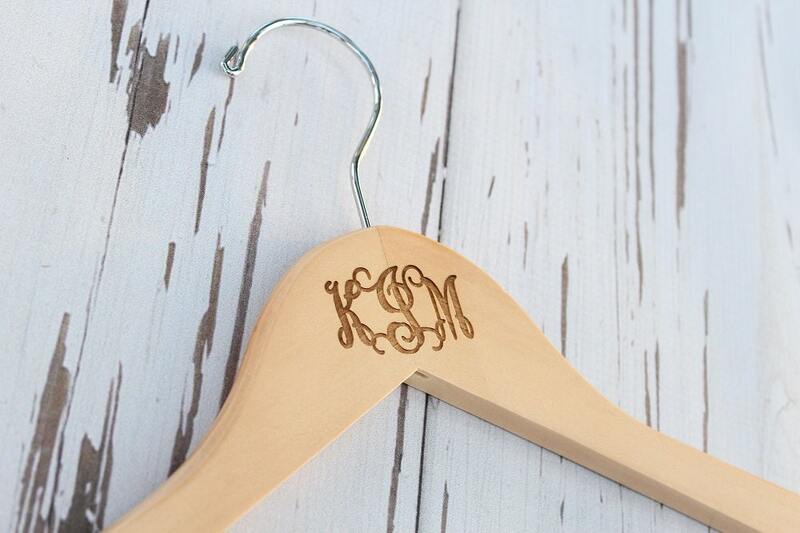 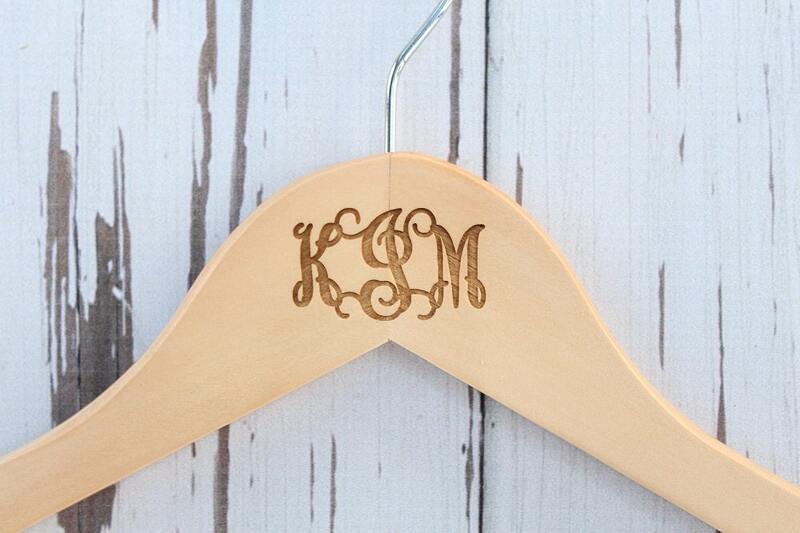 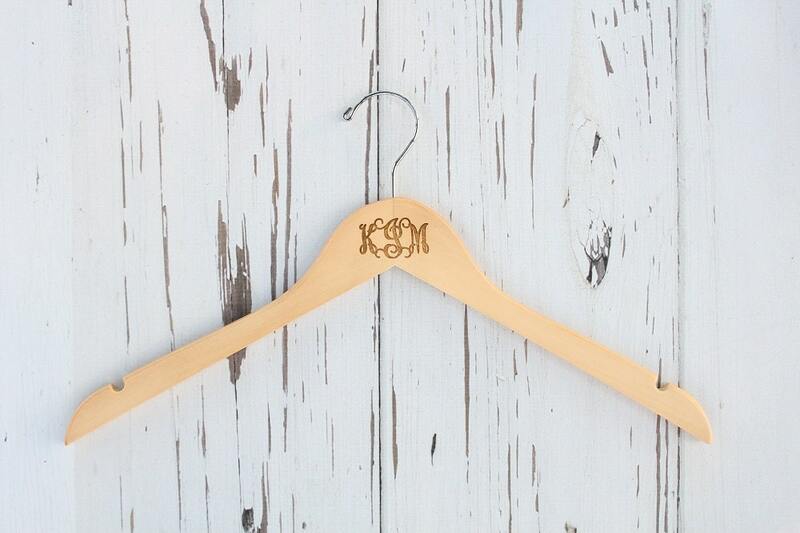 Laser engraved monogram wedding dress hanger. 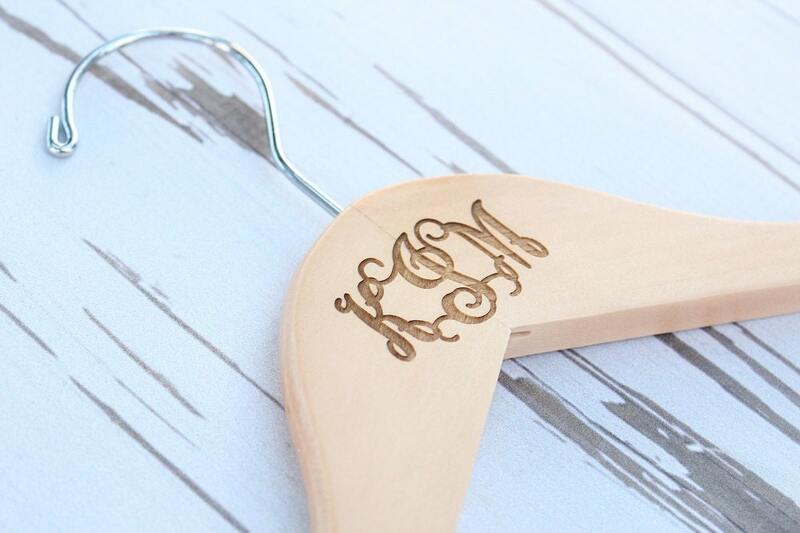 Standard size Natural Wood hanger, each natural wood hanger will very in wood grain and wood color which is natural within natural wood products. 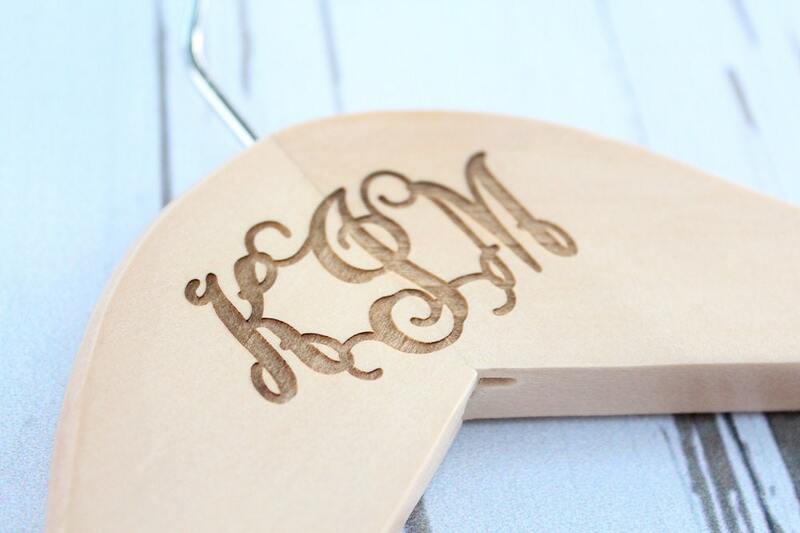 We do offer customized engraving if you want a name or date added, simply note the text change in the notes to seller upon checkout.